Arnhem is situated near the German border along the Rhine river. 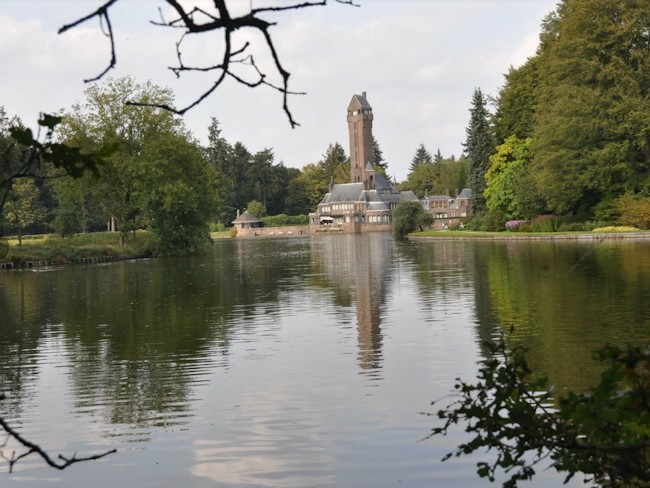 The Arnhem Nijmegen region and the Veluwe offer a wide and varied range of attractions, museums and events. In addition to this, the region boasts varied landscapes, castles, historic towns and cities. 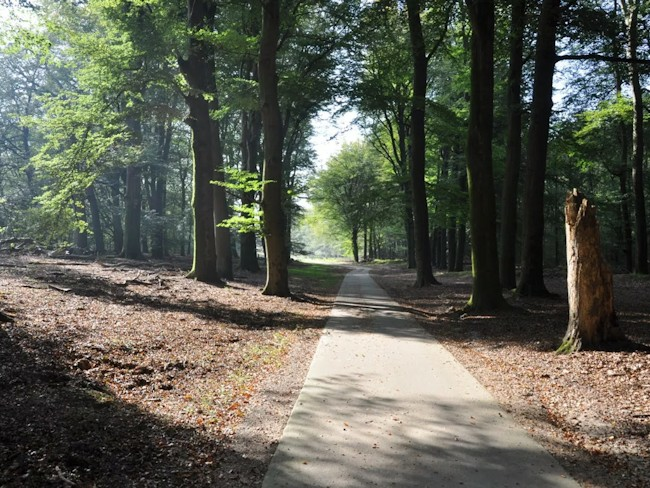 The Veluwe is one of the largest continuous areas of natural beauty in Western Europe and is home to the famous Kröller Müller museum. Arnhem became known as the iconic ‘Bridge Too Far’. Operation Market Garden was one of the biggest Allied operations in the Second World War. Despite their success the Allied forces did not manage to take the last bridge in Arnhem. Needless to say in this region every year events are organized to pay respect to the people who gave us our freedom. Your tour starts with a personal bike fitting and a thorough explanation of your route at the central train station in Arnhem. Tulip Cycling takes care of your luggage which will be transported to your hotel, allowing you to discover the town. 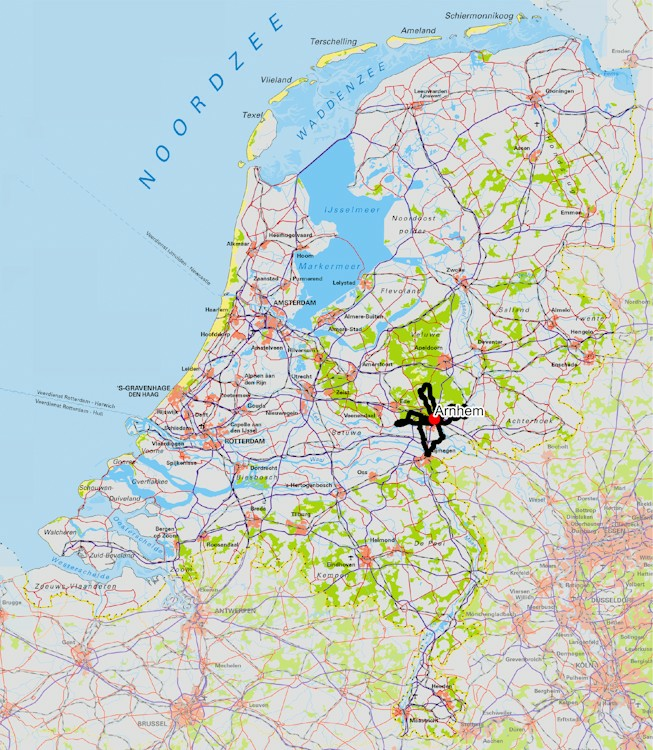 The ride on this first day is up to the town of Nijmegen the oldest city in the Netherlands and the first to be recognized as such in Roman times. Few Roman remains are visible today, but you can see a fragment of the old city wall and the foundations of the amphitheatre. The Valkhof museum has a permanent display of the history of Nijmegen, including artifacts from the Roman era. Although not many old buildings are left in town (due to the Second World War and city planners) there are still a few noteworthy sights. Nijmegen is the hometown of the Four Day Marches the largest multiple day marching event in the world, organized every year in mid-July. De Hoge Veluwe National Park is unique in the world due do its combination of natural beauty and art. The different landscapes are continually changing: as you travel through the park, you’ll go through varied woods, across heathland, grassland and exotic shifting sands. The park is also the legacy of the Kröller Müller family. Their dream was to bring nature and art together. 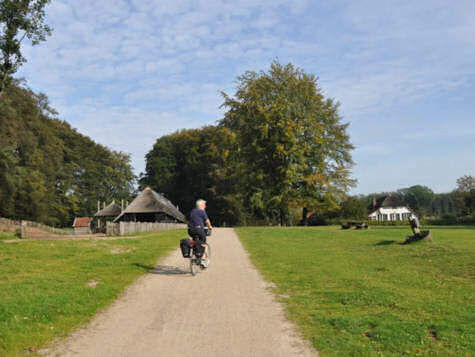 Today you are able to explore a world leading cultural collection that includes the Kröller Müller museum and the country house, Jachthuis Sint Hubertus.The park is car free and has almost 40 km of cycle paths. 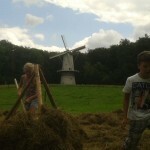 The Dutch Open Air Museum in Arnhem is on your route as well. 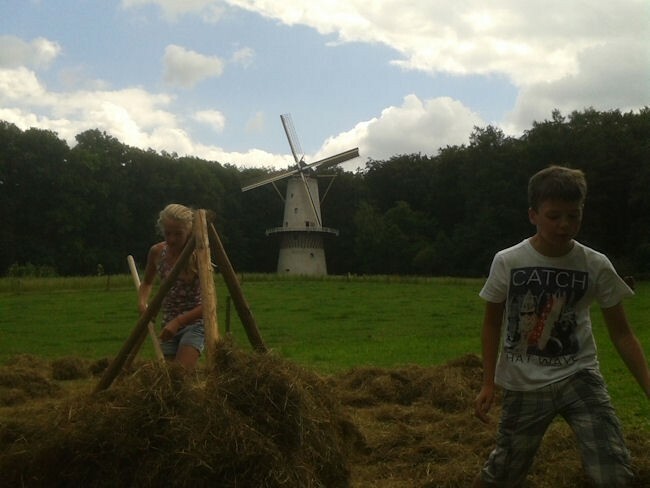 Here you can immerse yourself in the past and get to know the Dutch history. Today’s ride focusses on the Second World War. 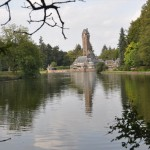 From Arnhem you are heading up to Oosterbeek where you will find the Airborne museum and the Airborne monument. The museum provides an immersive and imposing experience of the Battle of Arnhem. Stories of British, Polish and German soldiers and civilians come to life. The museum has a large collection of weaponry, documents, footage and photographs on display. By the forests on the banks of the Rhine river the route goes on to Wageningen. Here, in hotel de Wereld, the surrender of the German army to Canadian troops on May 5, 1945, officially ended the war in the Netherlands. Stop for a coffee or drink and dwell on the past for a moment. 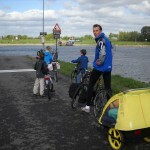 On your way back to Arnhem cycle along the beautiful river Rhine passing Doorwerth and its charming castle. After breakfast leave Arnhem heading for the Veluwezoom National Park. 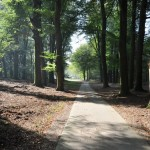 This paradise for walkers and cyclers east of Arnhem is known as the ‘golden edge of the Veluwe’. Spectacular views across the surrounding expanses of heathland and to the river IJssel flood the plains beyond. Here you can enjoy the peace and tranquility of the countryside. If you are lucky, you might even catch glimpses of Highland cattle, deer and wild boar. Leaving the park enter the IJssel valley and stop off at the main court of the historic Hanseatic town of Doesburg. Visit the Doesburgse mustard factory and ‘de Waag’ the oldest public place square in the Netherlands. 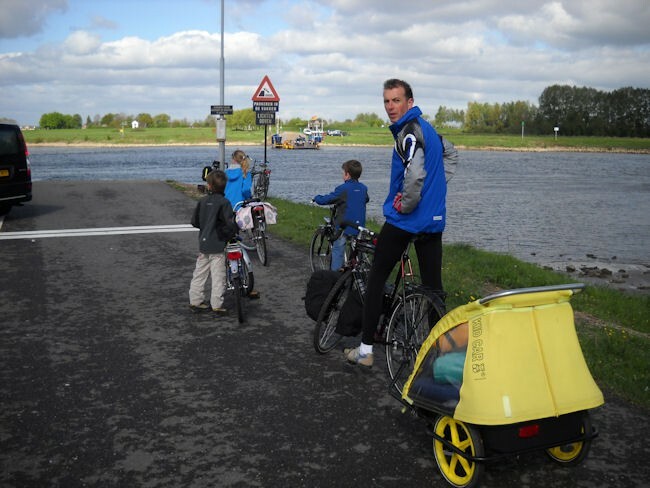 Riding along the banks of the river IJssel find your way back to Arnhem where late afternoon a Tulip Cycling representative will meet you with your luggage and pick up the bicycles.